Environmentally friendly publications and websites very often lack funds for professional graphics, and frequently come across as lacklustre and sad looking. It’s the bad side of the leftover 70s Hippie Culture: poor, underground, overlooked, just scraping by. 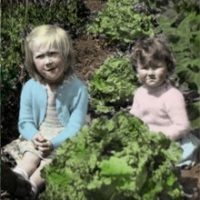 So I was thrilled in more ways than one to click on this website this morning on a very snowy day in Toronto and be met with something completely gorgeous, colourful and beautifully put together, design wise: it’s the site Wild About Gardening, the Canadian Wildlife Federation’s site. Clicking on it brought forth an elegant floral and leafy animation, a beautiful colour scheme and easy to find information. It makes both my gardener’s and designer’s heart happy to see trends like this!